Life had not been easy for twenty seven year old Sebastian. He had worked hard and saved his money. Herr and Frau Bleier approached Sebastian concerning their daughter. The fifteen year old girl was raped three months previously. She was carrying a child. They offered her to him as a wife. He was unsure how a young girl could be happy with a man almost twice her age. After consideration he agreed. A few months later their son Paul was born. Sebastian was celibate. He wanted his wife but she was young and did not want to scare her. After carefully saving their money, Sebastian finally had enough to go to America. Their voyage was one of hardship. Elizabeth made friends with many of the Jews families on board. They entered America with high hopes. The couple finally declared their love for each other and consummated their marriage. Hoping to make a better life for his family; Sebastian joined the Civil War. He never returned; leaving behind a widow with two children. Elizabeth was a remarkable young woman, shrewd, determined and intelligent. She was determined to make a life for her children. Elizabeth’s Encounters is an extraordinary book. I truly cared about the characters. It was sad for Sebastian and Elizabeth promising life together to be snatched from them. Sebastian was intelligent, patient and a loving husband. His allowed his relationship with Elizabeth to mature never forcing himself on her. 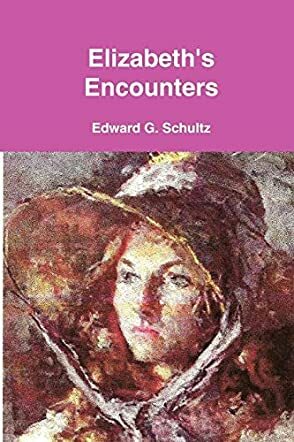 Elizabeth’s Encounters is loosely based on Edward G. Schultz’s great grandparents. I am familiar with author’s name. A few years ago I reviewed Morgan’s Mission. I was impressed with the book. In this book he has skills have greatly improved. He shows great skill at character development. He allows the plot to tell its own story without rushing it. I look forward to the next book Schultz offers readers.